Solar eclipses have captivated people throughout history, and it’s no surprise why. There’s something magical about witnessing the world around us go dark as the moon blocks out the sun, even if just for a few minutes, and the immersion of light that follows. 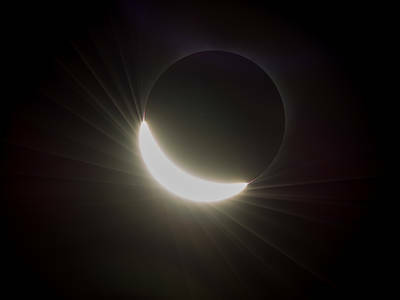 The August 21 eclipse, the first to be visible in North America from coast-to-coast since 1979, lasted 2 minutes and 40 seconds in totality. Yet, tens of millions of Americans put on their eclipse glasses and watched live streams of the celestial phenomenon. For millennia, civilizations and societies have turned to the skies to record stars and planetary positions, dating back to the 5,000-year-old Babylonian astrological practice used to predict weather for agricultural purposes. Today, as our collective astrological knowledge has evolved, our understanding of how it affects the mind and body has too. Major cosmic occurrences change the vibration and frequencies of energies on Earth, which we are all connected to. The solar eclipse is no different. The complete, but brief, alignment of the Sun, the Moon, and the Earth has even been known to affect animals, which can display erratic behavior before and during the event. Studies have found that spiders destroy their webs during a Solar Eclipse, then rebuild them after it passes. If anything, the astrological occurrence is a visual reminder that change is coming. The recent eclipse coincided with this year’s second New Moon in ambition and action-oriented Leo, a one-in-a-lifetime occurrence. The moon shadow represents a fresh start, an opportunity to break free of past patterns or situations that no longer serve us, whether it’s a job, relationship, business venture, or even mindset. The cosmic combo of the Sun, Moon, and Earth also represents coming together, despite differences. On a personal level, this could mean examining the big picture and creating new beginnings that align various aspects of our lives. Whether these changes sound exciting or frightening to you, they are certainly energy-consuming. Many people have reported feeling “light” or tired after the eclipse. If this resonates with you, devoting time to self-love and self-care is a great start. Grounding exercises, such as practicing mindful breathing or getting a massage, can help you let go of old habits, stress, and tension, which tend to affect and manifest in different parts of the body. Shedding these invisible layers and coming into a sense of calmness can create the space needed to implement new opportunities and beginnings. Massage therapy is proven to reduce stress and promote relaxation by moving the energy and clearing stagnation. The best part? Just an hour or two of this hands-on self care can have lasting effects for days, even weeks! Self care and self love set the foundation for healthy new beginnings. What does your routine consist of?